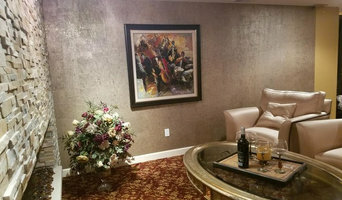 Abode Couture LLC assists clients with anything related to interior wallcoverings; from selection and installation of new designs to removal of dated wallpaper to allow for a change to the new design or to painted walls. Free estimates are provided. Abode Couture works with both residential and small commercial clients installing regular wallpaper, murals and 54" commercial vinyl wallcoverings. Cheryl Heator has over 20 years experiece in wallpaper installation. She is experienced with high-end papers including grasscloths as well as commercial vinyls. She also coordinates well with multiple designers/contractors on job sites for optimum scheduling. Willing to travel outside of SE Michigan. 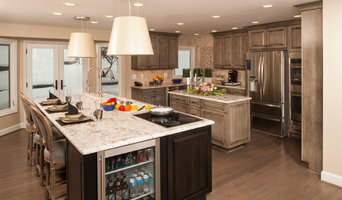 We are not only a premier Michigan kitchen and bath dealer, we are your design advocates. 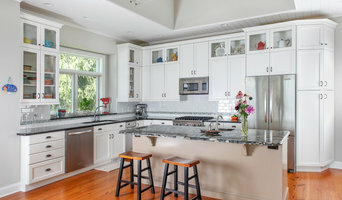 Kitchens and baths are more than cabinets or countertops, they are about cooking for families, and relaxing afterwards. They are about Sunday pancake breakfasts; wine, cheese and cards with friends; getting ready for the holidays. We've been listening to your stories for over 50 years...come in and tell us yours. The Brighton Shades experience consists of us coming to your home or office for the initial appointment, during this visit we will do all of the measuring and show you samples of what we have to offer...so that you can match up what works best in your home...in the comfort of your home. After your selection is made, we will then quote, manufacture, install and service all of your window treatments. We also offer motorization on all of our shades. If there is a product that you would like that we do not manufacture in-house, we have access to ordering from the major name brands as well. We are your one stop window treatment company. Founded on raw enthusiasm Brighton Shades is in business to serve your residential & commercial window treatment needs. At Brighton Shades we look to provide architects, general contractors and residential home owners with an exceptional product and unmatched customer service. Brighton Shades acts as manufacturer, supplier and installer allowing us to cater to our customers every need. We look forward to doing business with you. At Finished Basements Plus, we are the basement experts. We are the only Custom Design/Build Company in Michigan that specializes in basements. We create beautiful, well-built lower levels by doing things the right way and with the right products.